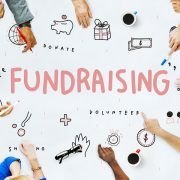 As promised, the SKD Building Committee is pleased to announce that we are developing a new, fun, and innovative approach to fundraising to gathering the funds needed to build our church. Our fundraising approach relies on your support and participation. We are having a kickoff meeting on Saturday, January 20, 2018 from 1-2:00 PM at the Mission Office at 14535 John Marshall Hwy # 210, Gainesville, VA, and we are seeking people like you who want to participate and make a difference. You’ll have more fun than you thought possible, you’ll get to meet vivacious and interesting people, plus we’ll provide food and drink. If you’d like to attend, please RSVP by January 8th by emailing Ellen at esivick@saint-stephen.org or by calling the Mission Office at 703-754-8444.